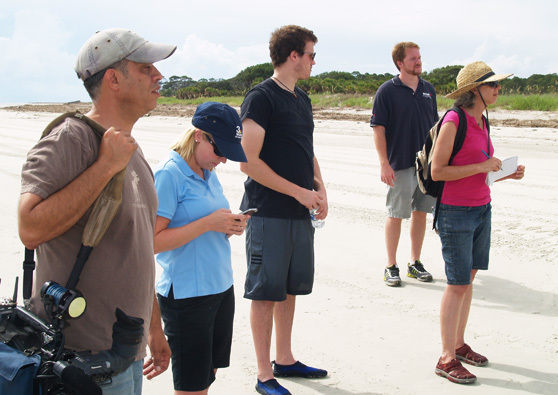 We took several reporters to Wassaw Island this week for a story on marine plastic debris. We’ve seen two TV stories thus far and expect a story in the Savannah Morning News, probably over the weekend. 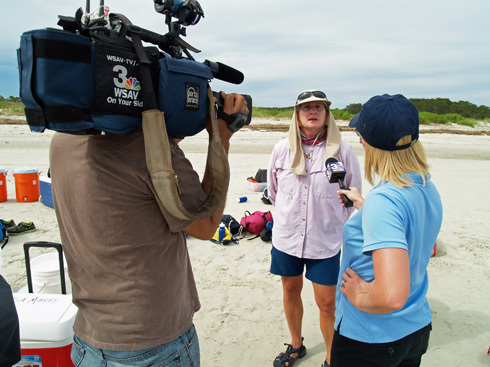 Alice Massimi from WSAV-TV (NBC) in Savannah interviews UGA Marine Extension Service educator Dodie Sanders on the beach at Wassaw Island. 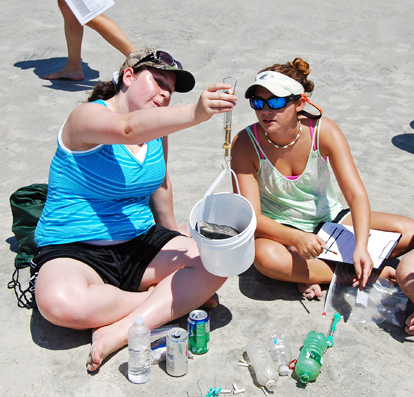 It has been a busy summer on board the R/V Savannah. One cruise involved some teachers, who blogged about their experience. This is fairly interesting.